The inspiration behind the HBO series THE PACIFICThis was a brutish, primitive hatred, as characteristic of the horror of war in the Pacific as the palm trees and the islands... 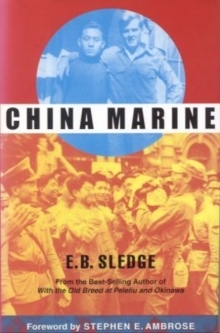 Landing on the beach at Peleliu in 1944 as a twenty-year-old new recruit to the US Marines, Eugene Sledge can only try desperately to survive. At Peleliu and Okinawa - two of the fiercest and filthiest Pacific battles of WWII - he witnesses the dehumanising brutality displayed by both sides and the animal hatred that each soldier has for his enemy. During temporary lapses in the fighting, conditions on the islands mean that the Marines often can't wash, stay dry, dig latrines, or even find time to eat. Suffering from constant fear, fatigue, and filth, the struggle of simply living in a combat zone is utterly debilitating. Yet despite horrendous conditions Sledge finds time to keep notes that he would later turn into a book. Described as one of the finest memoirs to emerge from any war, With the Old Breed tells with compassion and honesty of the cruelty, bravery and deaths of the men he fought alongside, and of his own journey from patriotic innocence to battle-scarred veteran. 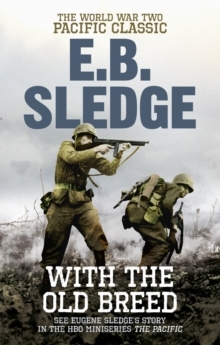 'Eugene Sledge became more than a legend with his memoir, With The Old Breed.